That's Life. Learn from your mistakes. 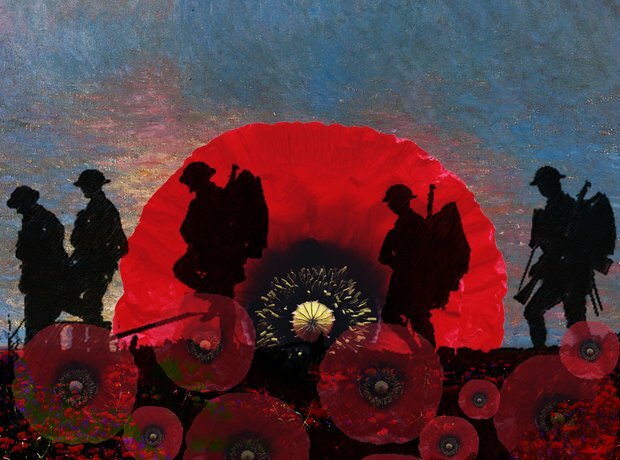 Yesterday was Remembrance Day also known as Armistice, Memorial or Poppy Day. In case, you didn’t know why the day is significant it is because it is the day that we remember all the armed forces who died for us after World War One and who continuously fight for our freedom and human rights. Across the world, it is celebrated, every country hold a celebration differently. In the United Kingdom, we wear the poppy, donate money to the Royal British Legion which is a charity that offers help and welfare to the serving and ex-service men, women and their families. Countries across the world have the two minutes of silence to remind ourselves of what the soldiers then and now do for us and their country. The silence is held on the eleventh month on the eleventh day of the eleventh hour. I think it’s important to remember now how much the world has changed and evolved since the First World War. For example, equality, a lot women join the armed forces nowadays which I think is commendable of them because unfortunately there are still some sexist people in this world. Honestly, sometimes at school, boys still comment about girl’s actions like if we can’t do something correctly, throw or kick a ball as good as them. They then normally comment “you throw/kick like a girl”, “it’s just because you’re a girl”. It annoys me so much because we are just as capable as them, us girls can show them up. I would love to prove how strong and independent we are as a gender. Today, I thought about why we only think about the troops for one day out of the three hundred and sixty five we have because the people that have left their families, friends and lives at home go out to fight for their nation, which contains a large quantity of people that they’ll never meet. I think these people deserve more than we actually think. Whenever we have our silence, which is normally at school, there is always at least one inconsiderate person who speaks or laughs. I don’t understand why this person or group of people cannot keep their trap shut for two minutes and to think about the men and women who have fought or who are fighting for us. This has been a little bit of a rant but I think it is important to write about these kind of things. Happy Two Years of Blogging!